This year’s numbers were down 14 percent from the last time the game was on TBS/TNT/truTV. 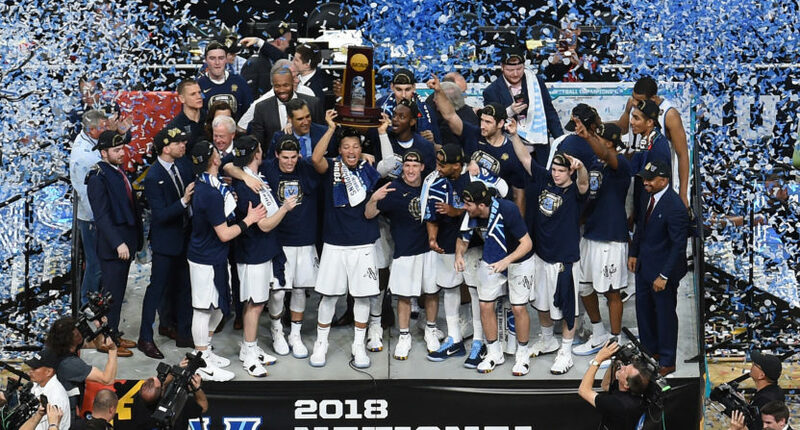 The Villanova blowout of Michigan drew a record overnight rating for Monday’s NCAA men’s basketball championship game. The game drew a 10.3 overnight rating across TBS, TNT and truTV. This was the second time that the NCAA Championship has aired on cable. Two years ago, the Villanova-North Carolina buzzer beater drew a 12.0 on the Turner consortium. The 10.3 number was off by 29 percent from last year’s North Carolina-Gonzaga game on CBS, which averaged a 14.5 rating. CBS/Turner can take some solace in the fact that Villanova-Michigan was the highest rated program not just on cable, but in all of television on Monday. However, Monday’s overnight barely registered as the highest-rated game of this year’s tournament. Duke-Kansas in the Midwest Regional Final received a 10.1 on CBS. To put the numbers in perspective, the 10.3 overnight trails January’s college football national championship on the ESPN family of networks (Alabama-UGA: 16.7) and every NBA Finals game since 2014 (Heat-Spurs Game 2: 10.2). Some will say that the 9:20 p.m. ET tip-off contributed to the lower number, but Villanova’s pulling away early in the second half likely had more to do with the dropoff than the late start. Had the game remained close throughout, the overnight rating would have been higher. Next year’s NCAA Championship game will air on CBS, so there should be a bump from this year’s numbers.